Grosset & Dunlap, 9781524785901, 14pp. Tiny Bible Tales, a new series of board books, shares the stories of the Bible's bravest heroes. 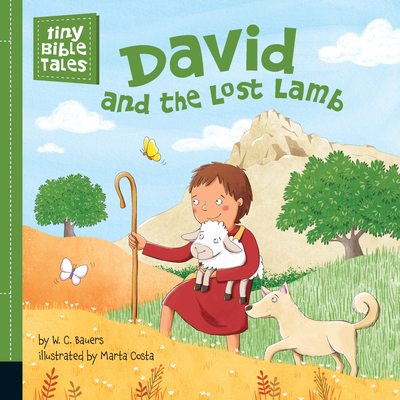 With gentle, rhyming text and gorgeous illustrations, this book tells the tale of David saving a lost lamb from a hungry lion. Each day, David leads his flock of sheep out into the hills. When one lamb wanders from the rest and a hungry lion takes interest, David rushes to its aid, bringing the young sheep back to safety. This board book combines quiet, rhyming text with simple and colorful art to tell one of the Bible's most treasured stories.